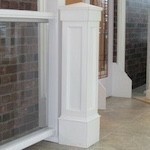 Elite Trimworks offers a wide variety of both interior and exterior decorative as well as load-bearing columns. 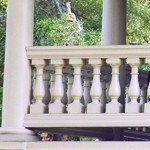 Many of your columns are made on the premises in our manufacturing facility, allowing us to give you the best possible pricing. 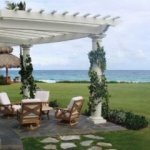 Another benefit of us producing many of our columns is if you cant find exactly what you are looking for, we can create a custom product or customize one of our products to better suit your needs. Let us know the details of what you would like to order and we can give you a in depth quote based on quantity, size and the specie that you are looking for. 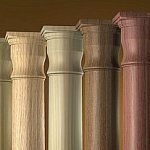 Interior Wood Columns Choose between either round, square or tapered, with all our selection, you're certain the find the column your looking for. Mostly made from fiberglass to last a lifetime. 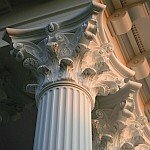 We proudly distribute HBG columns throughout Canada, the USA and the Caribbean. Also referred to as post covers. They come in all shapes and sizes and are made in our 20,000 sq. ft. factory.